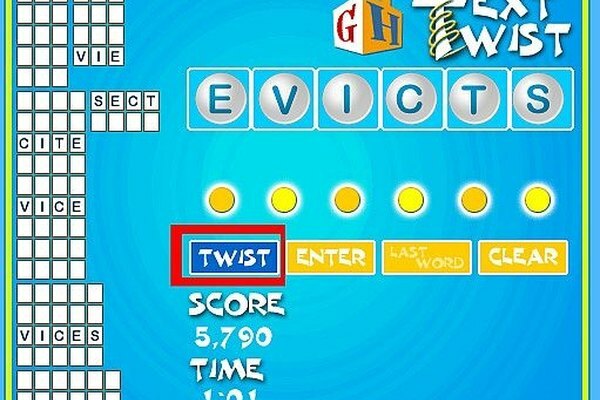 If you've got the mind for it, Text Twist can be a fun diversion if you're looking for a free online game! 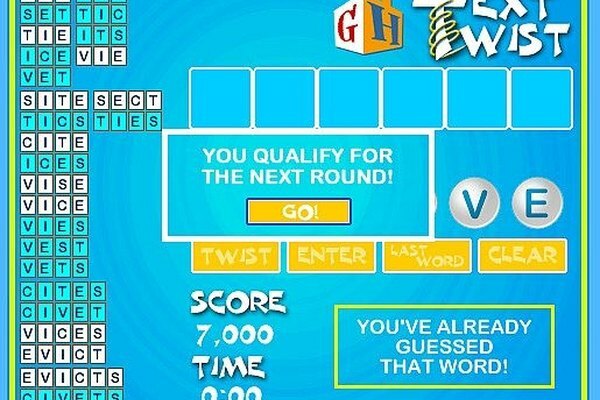 If you're not too good at word games, it can be a serious brain teaser. There are a few tricks you can use to help get you better scores at Text Twist, even if you're not naturally gifted with words. Come on and let's do the Text Twist! Try your hardest for the six-letter word! You continue to the next level of Text Twist if you get at least one six-letter word. It doesn't even matter if you get nothing else (although you'll get more points), just try for the big one! Think plurals. Lots of words in Text Twist can be made plural for additional points. Try adding 's' or 'es' to the end of a word, and you might just get that six-letter word. At the very least, it will net you a few more points. Try the reverse. Like plurals, many words in Text Twist can be turned around for another word. "Tip" and "Pit" is an easy example, but there are many others. Try them out! Think of the dictionary. Is the word you're trying to guess in the dictionary, or do you think it would be in the dictionary? If it is, try it out. If it isn't, don't bother. Remember, the time you have for each round of Text Twist is limited to two minutes! If you take too long trying out certain words, it'll hurt your score. Try it all. Nouns, verbs, conjunctions--they're all fair game in Text Twist. Try not to limit yourself to nouns only! Use the "Twist" button if you're stuck. Sometimes rearranging the letters you have can provide inspiration. If you're lucky, it may even spell a word out for you, but don't rely on this happening every time. Keep at it! After playing for a while, you may notice that some of the puzzles in Text Twist repeat from time to time. Use this to your advantage and try to memorize the words! Remember that the words in Text Twist start at three letters and go up to six. Avoid names, places (eg: countries), abbreviations and company/brand names. These are almost never included in Text Twist puzzles, or in most online games. Try not to think of other languages when you're playing Text Twist! The only words presented are English!